Bright white thank you cards with flourish frame and “Thank You” embossed in soft pink. 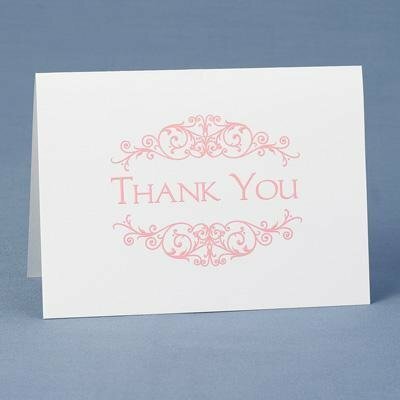 These pink thank you cards would be perfect to send to your wedding guests, bridal shower guests or baby shower guests. Pack of 50 cards and envelopes.